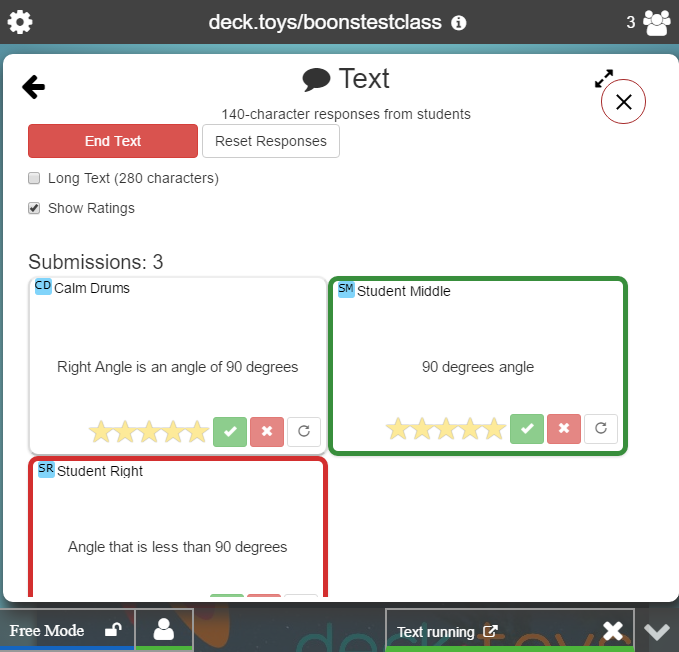 Text response app is useful in getting short text answers from students. This tool is excellent for open response questions. By default, the answer is limited to 140 characters. You may select for the response to be provided up to 280 characters. 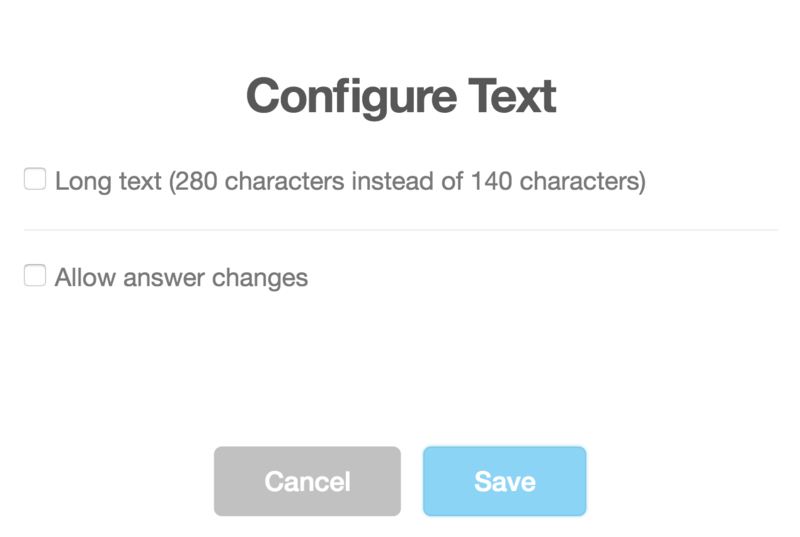 If you allow changes to be done in the answer after submission, activate the 'Allow answer changes'.